We've been renting ski suits and selling ski accessories to school and college groups for 19 years, over which time we've built up a depth of knowledge that is unmatched. We’ve teamed up with some of the leading snowsports manufacturers in the UK, to allow you the peace of mind that what we provide will keep you warm and safe whilst in a mountain environment. If you’re skiing for the first time, unsure what to take or simply want the best rental gear at an affordable price, then Interski can help. If you're travelling with Interski or if you're an Interski Rental UK customer, our process is simple and saves you from shopping around. 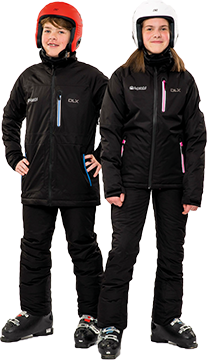 Simply book and pay for your Interski Rental Wear & Accessories in the UK. If you're travelling with Interski, there is no need to worry about packing your bulky ski wear, it will be in the hotel when you arrive in the Aosta Valley. If you're not travelling with Interski, your Interski Rental Wear & Accessories will be delivered directly to your school (or your home address if you choose to). How easy is that? Travel to your ski destination, have fun! If you're travelling with Interski, your items will be waiting in your hotel when you arrive. Any issues? Simply tell your Co-ordinator and we'll swap it for you free of charge, of course! If you're not travelling with Interski, your Interski Rental Wear will be taken along with you. 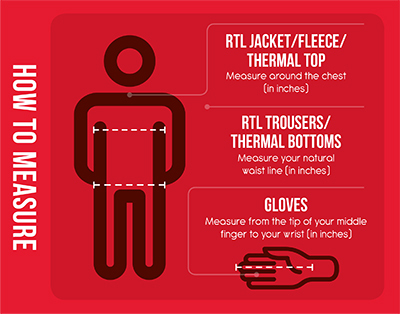 If you're travelling with Interski, simply leave your Rental Wear items there, we'll do the rest! If you're not travelling with Interski, bring your items home, take them back to school and we'll collect from there. There's no need to wash them either, we'll take care of that. 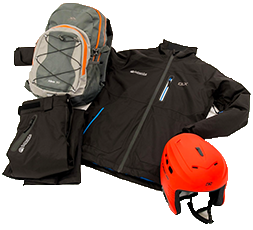 We can kit you out with all the rental wear you need to hit the slopes. This comprises of three items – ski jacket, ski trousers and ski helmet. You can hire these individually or together. If you don’t want the hassle of sourcing all your ski wear and ski accessories, paying over the odds for the pleasure, our rental suit and pack combo is exactly what you need. If you already have some ski accessories, maybe the Accessory Pack contains more items than you need. Not a problem! 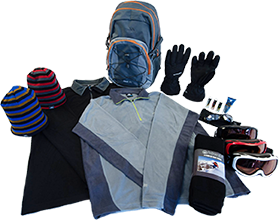 All the items contained in the Ski Accessory Pack can be purchased individually. New school? Want to change your rental provider? We can provide your group members with a comprehensive talk which outlines the ski wear and ski accessories they will need to take with them to keep warm and safe whilst in a mountain environment. If you’d like more information about our service, then please fill out our contact form and we will get back to you. Please complete the form below and we will contact you. Alternatively, please feel free to contact us on 01623 456333 or email us. Your details have been sent to one of our team who will contact you with more information about Interski Rentals as soon as possible. In the meantime, please feel free to contact us on either 01623 456333 or by email to rental@interski.co.uk. We aim to respond to all emails within 24hrs, so please remember to check any junk or alternative folders in your inbox. So we make sure we send you to the right place, please can you tell us which company you're travelling with?